is defined as any move within the state of New York. is defined as any move out of the state of New York, As per our tariff, we are licensed for New Jersey, Pennsylvania, Massachusetts, Connecticut, Maryland, Delaware, and Washington D.C. AND/OR TO SET UP YOUR FREE ON SITE ESTIMATE. As per our tariff, our travel time is ½ hour within the borough of Queens, one hour for the Bronx, Nassau County, Brooklyn and Manhattan. Staten Island is an hour and a half. Suffolk County is an hour and a half, two hours, two and a half hours, and three hours as per our tariff. Westchester County is an hour and a half. Each additional man is $25 per hour. Time starts when we arrive at your door and clock you in. It stops when everything is unloaded at the destination and we clock you out. We place the furniture and boxes in the rooms you specify and anything that was dismantled by us is set up again. Any move over 100 miles is calculated at a flat binding rate as per our tariff. 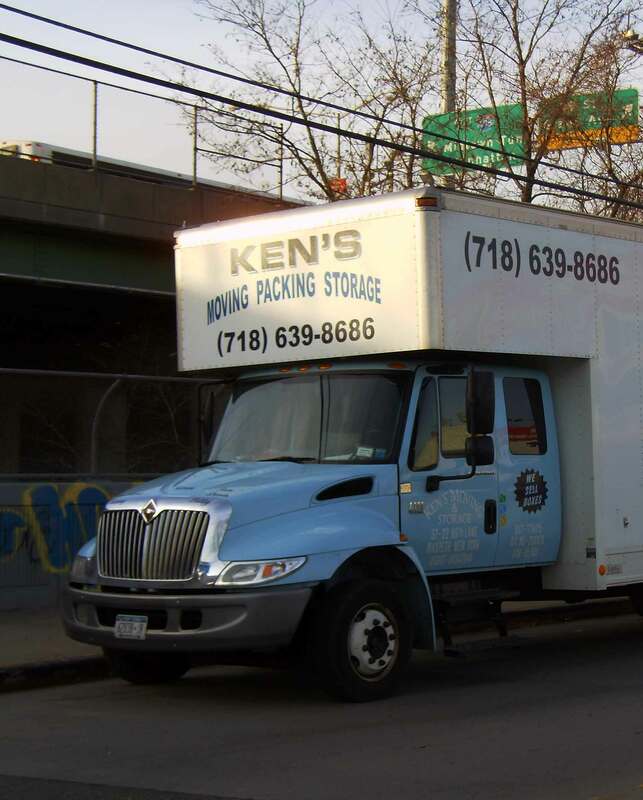 For more information, please call us at 718-639-8686 and speak to one of our qualified moving specialists. PLEASE CALL OUR OFFICE AT 718-639-8686 FOR MORE INFORMATION AND/OR TO SET UP YOUR FREE ON SITE ESTIMATE.